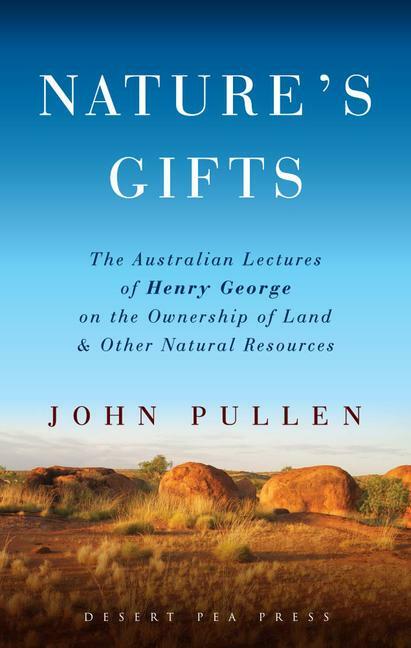 Natureâ€™s Gifts provides, for the first time, a detailed account of this important and progressive lecture series. Equal rights to land; land taxation; land prices; land rents; land nationalisation; and free trade and protection remain issues which are highly relevant today. The right of private property: Two principles or one? John Pullen studied at the University of Sydney (B.Ec. ), University of Liverpool (England) (M.A. ), and University of Newcastle (NSW) (Ph.D.). He taught Economics at the University of New England for 33 years, with special research and teaching interests in Urban Economics and the History of Economic Thought. Publications in these areas include 10 monographs as either author, co-author, or editor, and 67 articles and book chapters. Eight of the published articles deal with the theories and policies of Henry George, and have led to this current research into the extraordinary, but hitherto largely undocumented lecture tour of Australia by Henry George in 1890. John retired from teaching in 2006, and is currently engaged in research and publication as an Adjunct Associate Professor of the University of New England.